-- Hell Around the Horn is a nautical thriller set in the last days of the great age of sail. In 1905, a young ship’s captain and his family set sail on the windjammer, Lady Rebecca, from Cardiff, Wales with a cargo of coal bound for Chile, by way of Cape Horn. Before they reach the Southern Ocean, the cargo catches fire, the mate threatens mutiny and one of the crew may be going mad, yet the greatest challenge will prove to be surviving the vicious westerly winds and mountainous seas of the worst Cape Horn winter in memory. 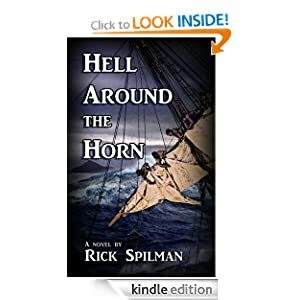 Based on an actual voyage, Hell Around the Horn is a story of survival and the human spirit against overwhelming odds.